Last Monday I was tagged by Ruth @ Charly & Ben’s Crafty Corner in the Around the World Blog Hop. This blog hop is basically a giant game of tag ping ponging its way across the internet and world inviting you to make new blogging acquaintances. As I met Ruth through the 2014 Blog Hop for New Modern Quilters sponsored by Beth @ plum and june, this felt like a great way to continue to meet new people! Jo @ Riddle and Whimsy hails from Australia, and she has two furry felines that I am sure provide a lot of quilting “help”. 🙂 I always enjoy reading Jo’s blog because she has a wonderful way of blending humor and honesty into her writing. She is making a memory cat quilt using scraps left over from each quilt project she completes, which I think is a genius way to remember projects that move on to new forever homes. I would like to introduce Leanne @ Devoted Quilter. Leanne lives in Newfoundland, Canada, and along with blogging about her quilting, she shares snippets of life in Newfoundland (check out her post about iceberg hunting!) and a weekly devotion. 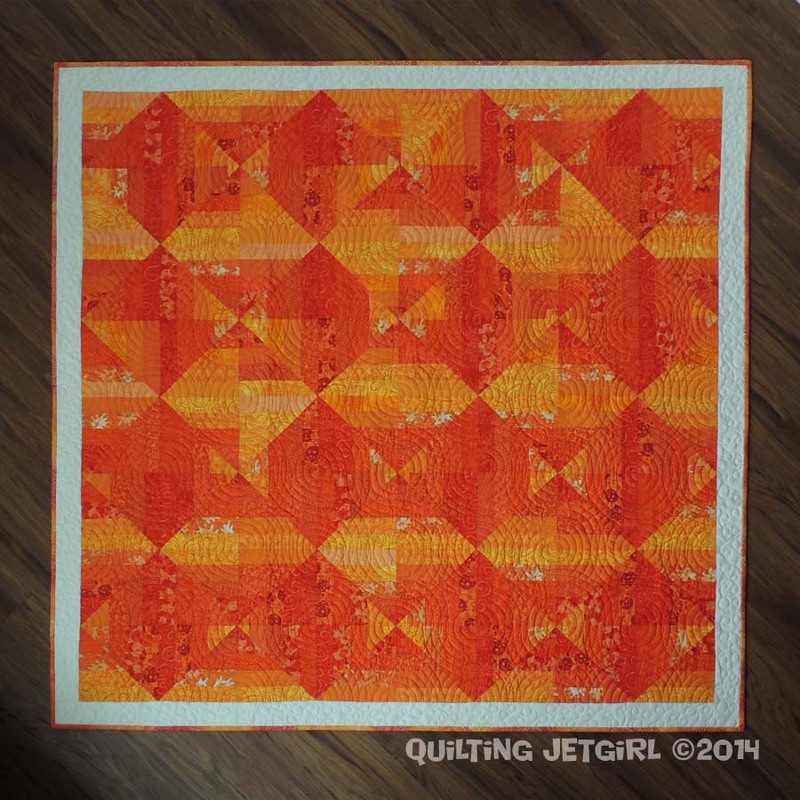 Leanne has really been developing some beautiful free motion quilting skills lately. Next, I want to introduce you to Rachel @ Quiltineering. Rachel currently lives in Phoenix, Arizona, but will be moving to Misawa, Japan, in the near future! Rachel has a B.S. and M.S. in Bioengineering, so I really love the fact that I can relate to her studies and to her hobby. She has been really busy working on wrapping up projects prior to her move, and she has made some lovely quilts to donate recently, too! Last (but not least!) I would like to introduce Vera @ Negligent Style. Vera hails from the Czech Republic. She has a superb sense of color and whimsy, and I absolutely adore her self portrait in her blog hop introduction post. Vera recently won 1st place in the Mini Disco Sew Along, selected by Julie Herman! This is a constantly moving target for me. Because I am lucky to be able to spend so much time quilting, I tend to be able to finish a project every week or two. At the moment, I am participating in a mystery quilt that gets updated instructions once a month that is hosted by Cheryl @ Meadow Mist Designs. To date, we have selected our fabric and cut the fabric in preparation for September’s instructions! My current work-in-progress is a twin sized quilt top made from a pattern by Brigit Gail called Three Flocks. This summer, I have made several quilts that I am really proud of: Synesthetic Alphabet, Namibia Trees, and Orange Crush. Currently, Namibia Trees is on display at my local fair. I plan on submitting a few quilts to the QuiltCon 2015 show a bit later this fall, and I think it would be really exciting just to have a quilt selected to be shown in Austin next February! Synesthetic alphabet is a quilt that I made in collaboration with my husband. My husband has synesthesia. In fact, he has multiple combinations and forms of synesthesia. I, on the other hand, do not. I find his descriptions of his rich inner world to be fascinating and beautiful. The process of creating this quilt with him was amazing, and I feel like we both learned a lot through working together to turn his color-graphemic synesthesia into a physical form. Namibia Trees was created fairly improvisationally. I had some left over Bella’s Poppy Lind Fabric by Lotta Jansdotter for Windham Fabrics (in orange), and I started by fussy cutting out as many of the trees from the remaining fabric as I could. I especially love the little birds that appear in some of the panels. I then framed out each tree with orange or gray fabric and just kind of had fun sewing more than thinking. In the end, this quilt reminds me of Frans Lanting’s beautiful photograph of dead trees in the Namibia desert, hence the name of the quilt. At the moment, I can tell that my work is currently evolving. Because I left my full time job at the end of April, I have had more time recently to reflect and create. I am now able to spend time thinking about quilts that I would like to make to be able to submit to quilt shows, which is very new to me. I am also actively working to cultivate quilting as something more than just a hobby. I have been able to sell a few quilts as commissions this summer, and at the moment I am happy to say that the commissions have paid for all the quilting supplies and bills that I have accumulated this year. I am very happy to be breaking even at the moment! I am also not afraid of fabric selection or color. I have been in fabric stores with people who are terrified of making poor choices in their fabric selection, and I have seen them be very unsure of how to proceed. For whatever reason, that has very rarely been my experience. I love the tactile nature of quilting; especially during the fabric selection portion of the process. I find that most of my quilts I am currently making are inspired first by fabric selection… then I figure out what I am going to make once I have purchased the fabric! That is definitely one of the ways my work has been evolving: I used to be a very pattern first, fabric second kind of quilter. Not to say that I don’t still sometimes get crazy inspired by a pattern (it is why I am making Three Flocks! 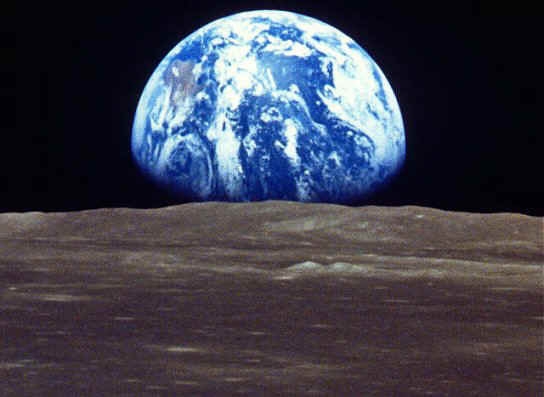 ), but it is fun to be able to step back and recognize that shift in the way I am creating. And in terms of color: yeah, I love it. I tend to use saturated hues and even my negative space is bold. I can and do use white and some low volume fabrics, but they just are not what I am currently drawn to. I create most of my quilts to gift, sell, or on commission, so there tends to be a strong sense of inspiration at the beginning of most of my projects because it is intended for a very specific person or purpose. I absolutely love making baby / crib quilts, and going shopping for the fabric with the family, friends, or mom-to-be is always such a pleasure. I also create to share love, warmth, and coziness. To me, nothing says love and warmth like a hand made quilt, and I put my love and joy of creation into the quilts I make. When I am working on a quilt, I tend to be very focused on who I am making the quilt for and why; the process is pretty meditative and relaxing for me. And again, as I have had more time to explore quilting recently, I have begun to see a shift in the reason behind my work as well. With more time, I have been able to step back and make quilts for art, to have a chance to develop a quilt with my husband and learn more about him through the process, and purely for the love of a color. I have talked about my creative process quite a bit as I answered the other questions, but there really is so much that goes on to develop quilts! As I mentioned earlier, I can be inspired both by fabric or a pattern. I have even dabbled a bit in creating my own patterns, and that is hopefully something I will be able to explore more over time. For really detailed information on my creative process, I have written some blog posts about the process for specific quilts. In particular, I recently wrote a very in depth post about the creative process behind a flannel baby quilt I made back in 2009 (inspired by both the people I was making the quilt for and the fabric). 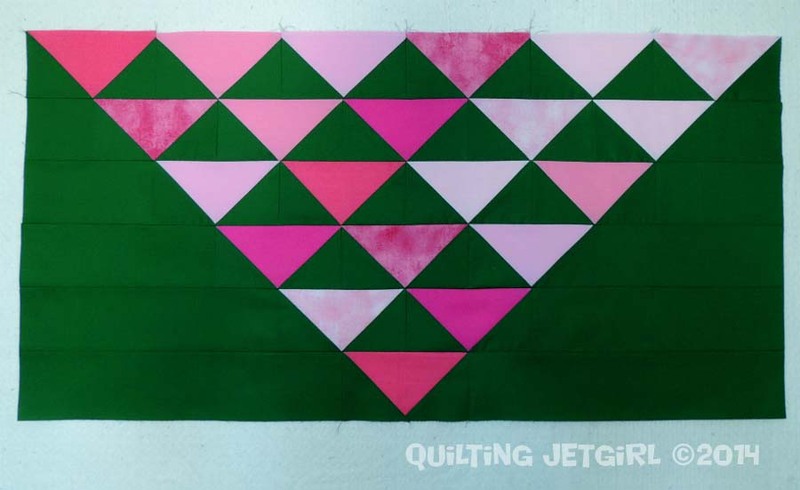 I have also written a detailed post about the design process I went through on my commissioned Space Age Tumbling Blocks quilt (inspiration came in the form of beautiful handmade cutting boards my friend made and his desire to have a quilt with that pattern but also emphasizing a space / rocket theme). If you are a Modern Quilt Guild member, I would highly recommend that you log into the community website and listen to Anne Sullivan’s presentation on Quilt Design a Day: Discovering Your Creative Process. One last note about the creative process and inspiration: I get a lot of ideas, inspiration, and down right joy from reading other people’s blogs and participating on Pinterest. I have a Bookmark folder in my web browser called “Quilting Links” with so many links to inspirational tutorials, patterns, colors, fabrics, and other crafting goodness that it is a delight when I take a moment to go revisit them. I feel much the same way about my Quilt Ideas Pinterest Board: I pin things that I can later go back and browse to find a spark of inspiration. I don’t always follow the pattern or colors of the ideas I see, but going through lots of images really helps get me excited and thinking about what I can make and create. So, in closing, I am going to have a few images of things that have inspired me in the past along with the paired quilt that was the result of the inspiration. Loved reading your post and great seeing the inspiration and finished quilt together. I think your Namibia trees is probably my favourite! Love the way you have framed them especially. Great post, especially about inspiration. 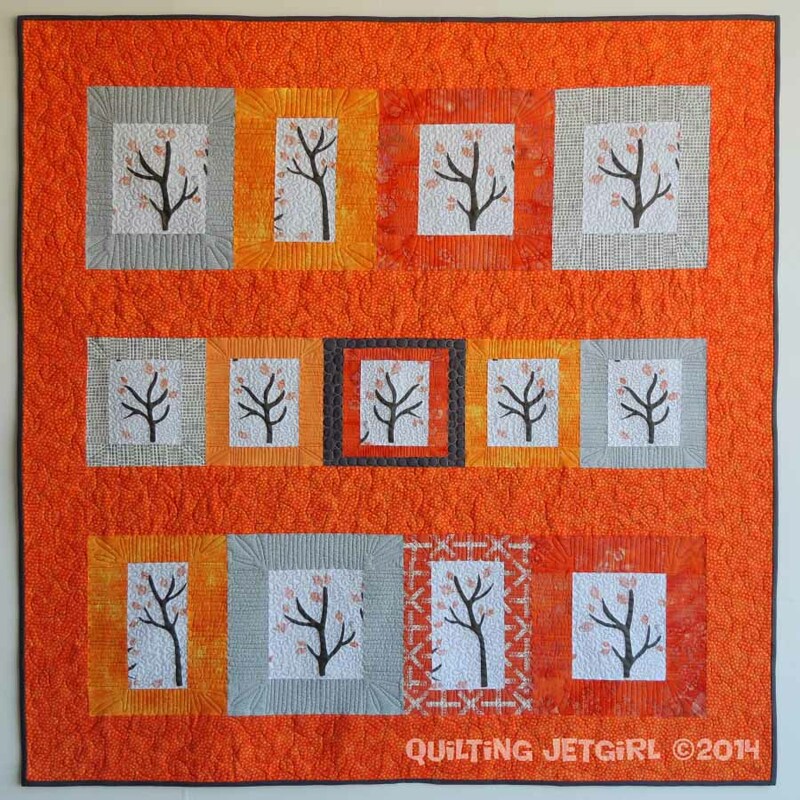 You definitely should enter Synesthetic Alphabet and Namibia Trees in Quilt Con and other shows. 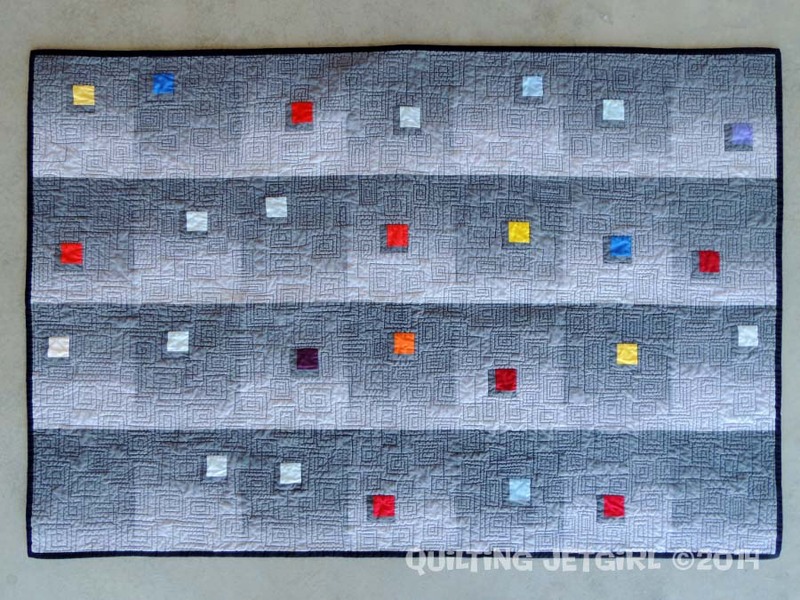 Your quilting enhances your compositions and your piecing so well! Great post! It was fun to read a little more about your process. It’s that sort of thing that draws me to blogs because it gives me a chance to get to know the blogger, so it’s not only about the quilts but also a friendship. Thanks for tagging me. I’m looking forward to playing along next week. I really love seeing your inspiration photos next to your final quilt. Its really amazing how you’re able to adapt those ideas into really brilliant patterns. Gorgeous work!! All wonderful Yvonne! I could have kept reading and looking at the photos of your quilts if your post was even 100 pages long! I love the way you use colour to make the design really stand out. I am glad we met through the blog hop. You will always inspire me! Good job! Great post! I’m one of those that is frightened by fabric choice and it’s crazy ridiculous. Really slows me down!